Maple-Glazed Rib Roast With Roasted Acorn Squash - GetCooking! Beef. It’s Whats for Dinner’s – Maple-Glazed Rib Roast With Roasted Acorn Squash recipe. The flavors of fall are captured with this delicious dish. Maple and thyme are the perfect pairing for both the beef and nutty acorn squash. We’d love to hear your feedback on this video recipe format in the comments section below! 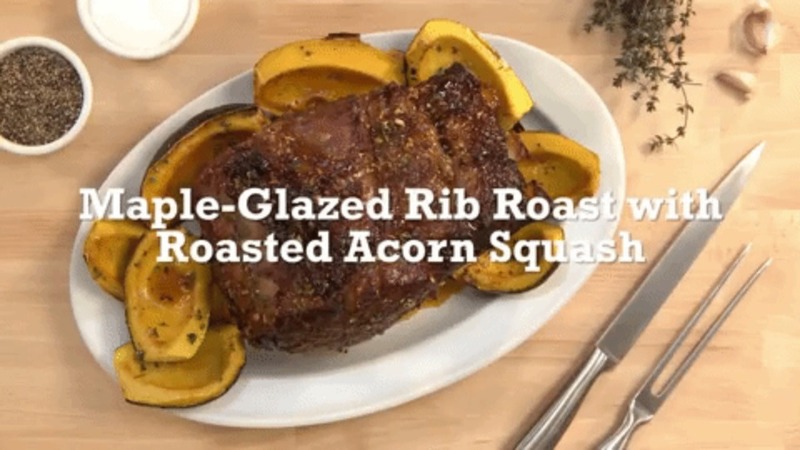 If you used this video to make Maple-Glazed Rib Roast With Roasted Acorn Squash, please tell us how it went! View the original recipe notes here: Beef. It’s Whats for Dinner’s – Maple-Glazed Rib Roast With Roasted Acorn Squash.